William and Lucy Miles are pleased to announce the marriage of their daughter Mary Elizabeth to William Addison, son of Robert and Edie Graham. The newly weds were married 27 November 1867 in Pulaski, Pulaski, Virginia. 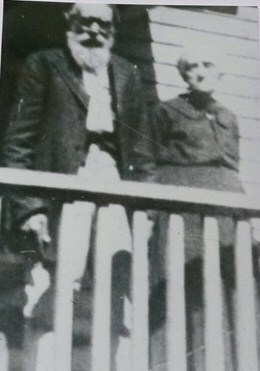 William Addison and Mary Elizabeth Miles Graham about 1918 in West Virginia. Mary Elizabeth Miles was one of at least four children born to Lucinda H Bailey and William Miles on 10 June 1850 in Pulaski County, Virginia. William was a farmer in the Pulaski County area on the 1850 Census. 1860 just lists him as a laborer, not a farmer (like his neighbors). It appears he had a farm on the 1850 Census but not for the 1860 Census. The 1840 shows four individuals in the house, which confirms what we have, there could have been children who died. There is a ten year gap between children, which probably shows there were some lost. Mary Elizabeth is the last child we have any record of, which may not be accurate since her mother would only have been around 38 at the time. We just know so very little about this family. We don’t know where her parents were born or even where they died. It seems her parents moved from Pulaski County to an unknown location. William Addison Graham was the first of at least nine children born to Edith Booth and Robert A Graham 11 April 1849 in Newbern, Pulaski, Virginia. The Graham family is a massive Western Virginia (which includes the present West Virginia) family that seems pretty well documented. Robert was a farmer in Pulaski County. After Edith passed away, he moved to work in the mines of McDowell County, West Virginia and passed away there. 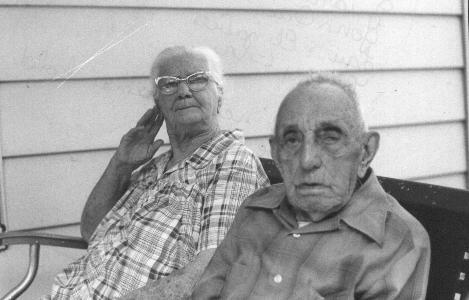 William and Mary were born and raised in Pulaski County and would remain there until after the turn of the twentieth century when they would relocate to McDowell County in West Virginia. All the censuses for these years 1850 to 1900 were in an area called Wassie, Highwassie, and now mapped as Hiwassie. Hiwassie is small enough that information is given relating to the town of Draper, which appears to be the nearest town of worthy notable size. This family is the opposite of the Miles family (lack of information) in that you have to spend time weeding through all the Graham relatives to make sure you have your right person. Since there are so many Graham’s in the area, I believe that William and Mary’s family have become commingled with another family, or else Mary was very prolific at bearing children. I hope someone can provide some more information to clarify this, but from the records as I have been able to make out, William and Mary had SEVENTEEN children. While not impossible, the chances of that many seem unlikely, especially with some of the dates between the children. But I will lay it out there and let someone hopefully correct me. Lucy Bell Graham born 7 April 1870 in Newbern and died in 1917 in Welch, McDowell, West Virginia. She married a W L Dunford in 1891 and James Matthew “Max” Crowder later. 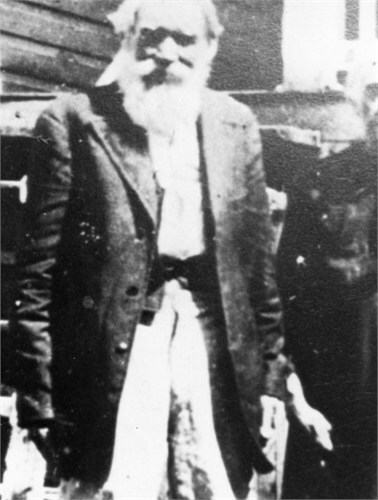 Andrew John Graham born 17 August 1871 in Snowville, Pulaski, Virginia and died 8 March 1912 in Patterson, Wythe, Virginia. He married Luemma Adeline Dean in 1892. John William Graham born in 1872 in Pulaski County. 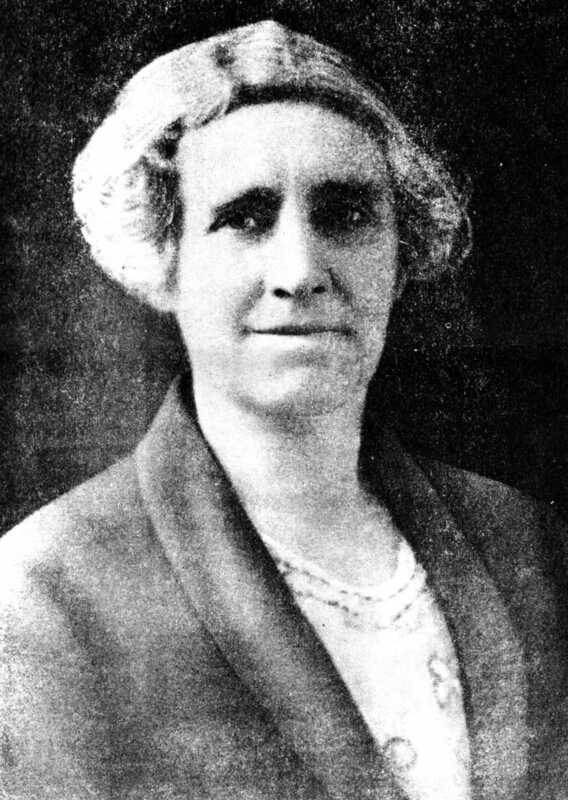 Damey Catherine Graham born 25 November 1874 in Pulaski and died 3 February 1933 in Marysville, Yuba, California. She married James Thomas Meredith (also known with the last name of Ross) in 1887. Robert Graham born 1875 in Pulaski County and died 1884. James Alexander Graham born 20 August 1875 (a twin?) in Pulaski County. He married Laura Jane Dean in 1892 and Theodocia Elizabeth Flinchum in 1912. Mary Elizabeth Graham born 31 October 1878 in Pulaski County and died 3 September 1947 in Welch, West Virginia. She married William Harrison Dean in 1895. Leander Graham born 25 September 1881 in Hiwassie and died 12 January 1970 in Pulaski County. He married Florida Gunter in 1902. Ellen Graham born 20 May 1882 in Pulaski County and died as a child. Emma Jane Graham born January 1883 in Pulaski County and died as a child. Baby Boy Graham born 15 August 1883 in Pulaski County. I assume he died as a child, but have no other record. 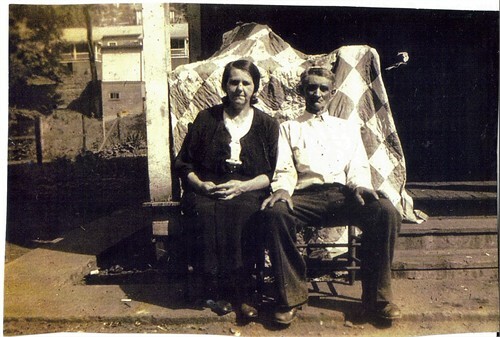 Nerva Graham born March 1884 in Hiwassie and died in 1964 or 1965 in McDowell County, West Virginia. She married Ed Gaultney. Emmet Dewit Graham born 23 August 1884 (another short period between births, maybe a year off?) in Hiwassie and died in 1945. He married Mary Agnes Bryant. John Perry Graham born 9 June 1887 in Draper and died 18 February 1965 in Cucumber, McDowell, West Virginia. He married Florence Collins. Richard Graham born 20 February 1889 in Pulaski County. We don’t know if he lived to maturity or anything else. Nora Graham born 22 May 1891 in Pulaski and died 22 October 1963 in Welch. She married Floyd Claude Richardson. Grayson Thurman Graham born 24 February 1895 in Pulaski County and died 29 September 1981 in Bishop, Tazewell, Virginia. He married Lora Elizabeth Adams in 1913. Between 1900 and 1910 William and Mary moved to Adkin (part of Elbert), McDowell, West Virginia. I assume the move was to work in the mines as both the 1910 and 1920 censuses show him as a coal miner. In the 1920 Census the two had Grayson and Perry, and their families, living with them for a total of eleven living in the home. It was during this time that the picture at the beginning of this post was snapped with these last two photos. William died 19 December 1921 in Gary, McDowell, West Virginia. I assume this means he died at work in the mines since he walked to Gary to the mines. We do not know where he is buried. Mary died 16 May 1925 in Elbert, McDowell, West Virginia. Her death certificate indicates she died of paralysis. She was buried the next day at the Murphy Cemetery in Elbert.